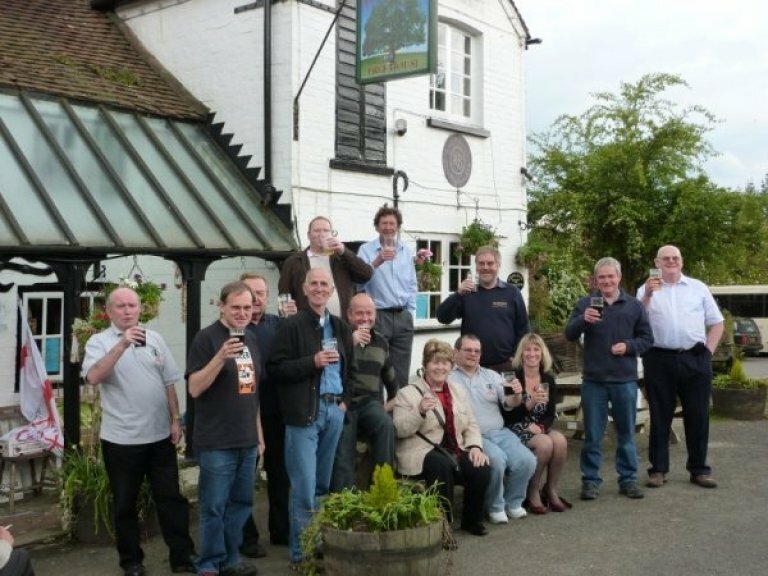 On a Saturday in May, fourteen members of CAMRA’s South East Sussex Branch set out on a minibus tour to assess the Pubs of the Year (P.o.t.Y.) 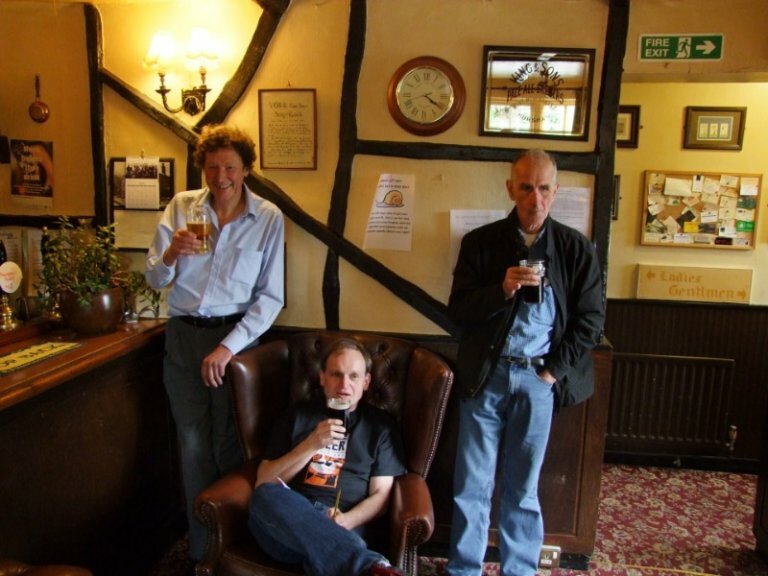 selected by the other four CAMRA branches in Sussex. Votes by the members of each branch determine which pub makes it through to the next round of CAMRA’s national competition. Spirits were high as we contemplated a day of visiting four different pubs, with hopefully a different beer range at each place. The mood was enhanced by the Hastings contingent having already had their first drink of the day at their meeting place, the rapidly improving Dripping Spring in St. Leonards. The Eastbourne group was less fortunate, having met the minibus at a petrol station, a much lower standard of beverage was advertised there and not surprisingly, no one was tempted. 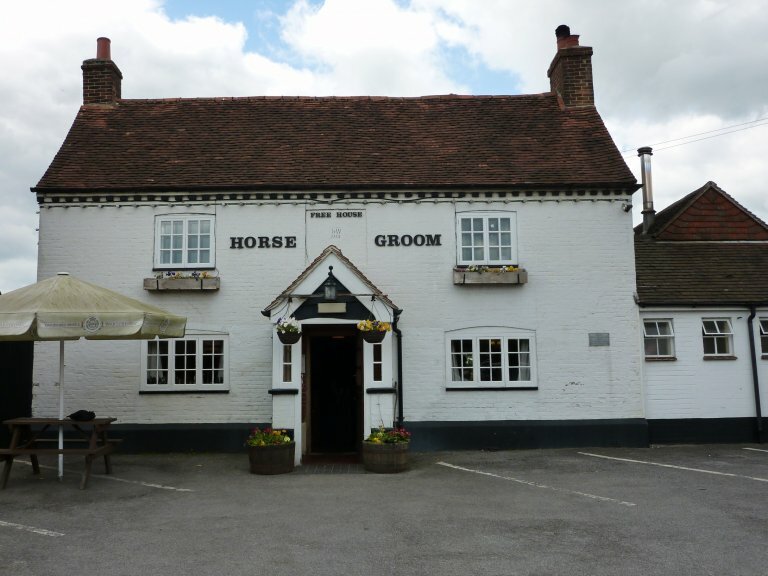 Our first visit was to the Horse and Groom at East Ashling, a village to the north west of Chichester. The pub and staff were pleasant, but although the beer was a good standard, the range of styles was limited to Harveys Best and three golden ales. Fine if your preference is for lighter coloured beer! 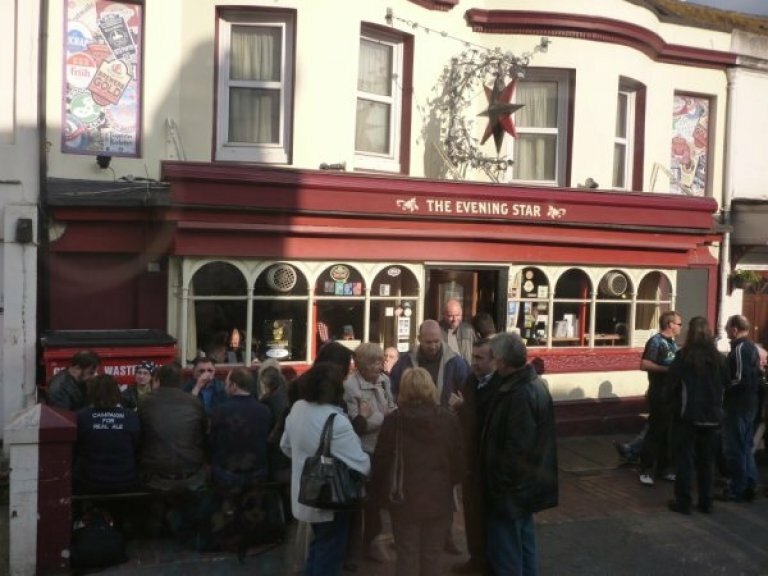 The pricing policy was interesting: £3.20 for a pint of Harveys Best, £2.30 for a pint of dark Star Hophead. I assume that this reflects what the pub is charged, so fair enough. When fourteen people arrive at a pub simultaneously, there is inevitably a queue. While I was waiting patiently in the queue, one of the pub regulars turned up and jumped straight to the front; not good when one is assessing the welcome one receives. 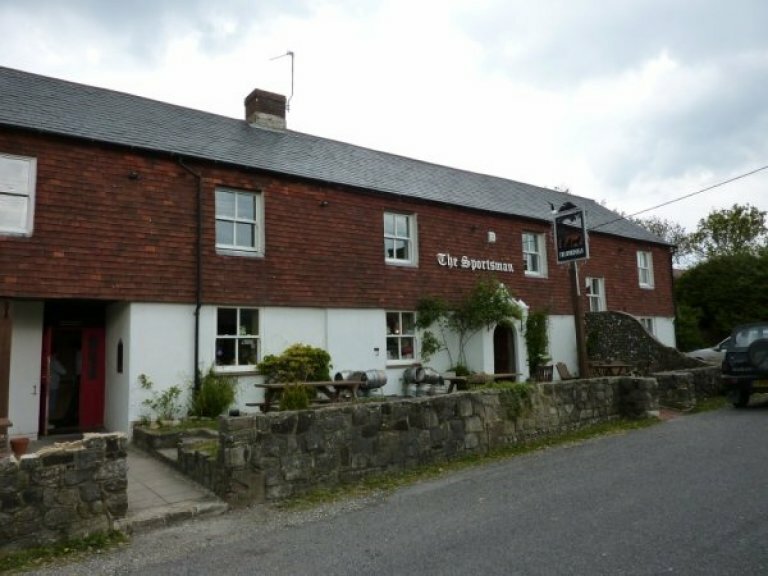 Next we made for the Sportsman in Amberley, up the valley from Arundel, our stop for lunch. Stunning views across the Arun valley, tasty food and beer made it hard to dislike this pub. The staff were busy but very friendly and helpful; plenty of punters were already enjoying their food and drink when we arrived. The beer was an interesting mix of local ales and Sussex beers from further afield and everyone found something to their taste from the lunch menu. Next stop the Royal Oak at Friday Street near Rusper, a winner not only of the Sussex P.o.t.Y. for the last two years, but also a national finalist. The mystery of this pub with its extensive range of beers and styles, not to mention real cider and perry, is ‘Who drinks them?’. They have been in excellent condition on this and each of our previous visits, but we have never seen many people in the pub. I suppose each of our visits has been Saturday daytime, but even so it is hats off to the pub management which runs such an excellent pub in such an isolated spot. It proves that if the product is right people will get there, a lesson to all struggling pubs. We climb back into the bus and head for the centre of Brighton and the Evening Star. There we found another exciting beer range of both Dark Star beers and those from other breweries served by helpful, though very busy staff. My previous visit to this pub, last November found me critical of the range of styles, as I had found earlier on this day at East Ashling. No such problems today though and thank goodness it is May, not November, as the pub is very full and many of us have to drink on the pavement. I can see why it is full, if I arrived at Brighton station heading for the shops or sights, I would find it very difficult to pass this pub without entering. So back home, the Hastings folk return to the Dripping Spring to round their day off, but not before the Eastbourne group is dropped at our branch’s P.o.t.Y., which also happens to be my local, the Hurst Arms. It is hard to be objective about one’s own local, but I shall try. As a Harveys tied house, I would not expect it to win the county competition, indeed it may well come last, too many members rate being a free house as virtually a prerequisite for a P.o.t.Y.. But it has its strengths! By serving close to the full range of Harveys beers to an excellent standard, there is a beer to suit all tastes, be it in flavour or in strength. It is pubs and breweries such as these that kept Real Ale alive in the tough times of the early days of CAMRA. It is not just nostalgia which is important, the lessons of history are too. Just because we live in the area of such an excellent brewery, the envy of many as was proved by last year’s visitors to the CAMRA Members’ Weekend, we should not take it for granted. Even in recent memory, Sussex drinkers who live in the areas once served by King and Barnes and by Gales may have been tempted to do that, and look what happened to them. By awarding a pub such as the Hurst Branch Pub of the Year, we recognise something which should be precious to us.